18 Demonic Lords attacked the Tear Garden and killed all the guards inside. The guards are stationed on the 18 floors of the Garden. Cronus needs you now! Pay a visit to Pandoya's for more details. 1. 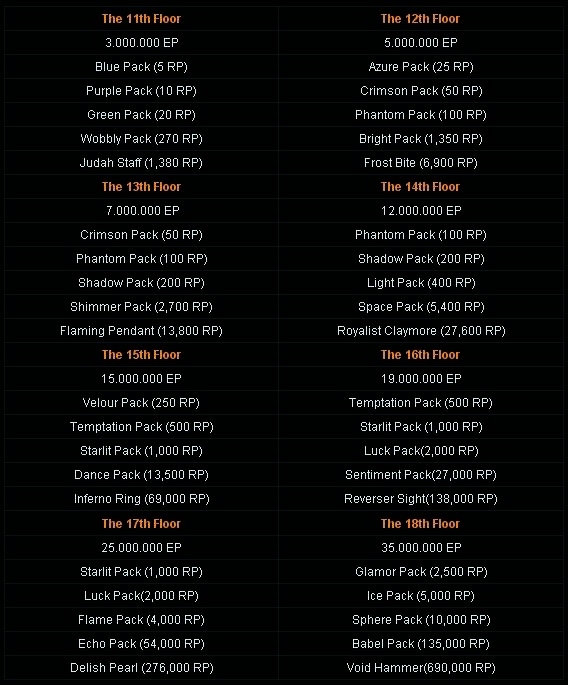 If you don't have RP but have a lot of time and extraordinary patience, you can pay Pandoya 2.000.000 EP to enter the first floor of the Garden. 2. 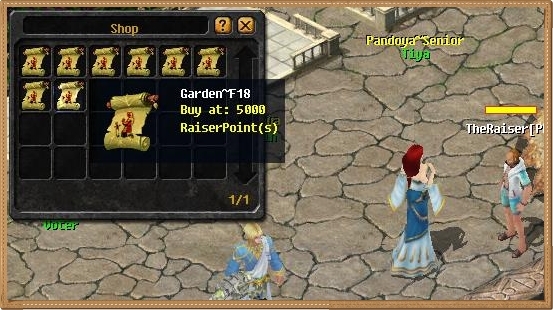 We recommend you to spend some RP on the Garden Permit from the Pandoya Senior, which will directly send you into the corresponding floor of the Garden. 1. Now you arrive in the Garden Floor. If you want to go upstairs, you can talk with the Tear Garden F1 and complete the quest from her. 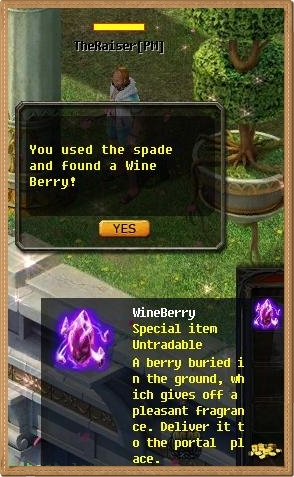 1) Take a Iron Spade and dig out the Wine Berry. 2. After finishing the quest, Find the portals to open. There are 4 portals on each floor, but only one of them leads upstairs. If you are unlucky, you will stay on the same floor, and if your luck has completely run out, you will be sent downstairs. 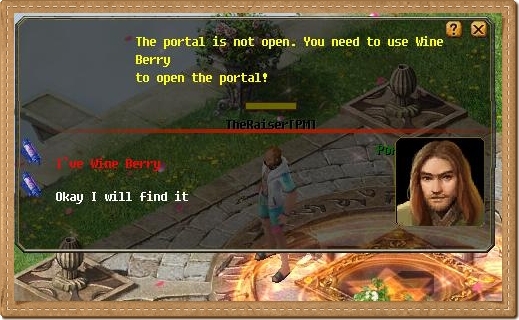 Then you need to take another quest from the Tear Garden to activate the portal again. This cycle will continue until you go upstairs or give up. In the center of the tower, you will find the Demonic Lord. Defeat it for the rewards. After killing the lord, you will be sent back to Cronus with the rewards. If you want to go upstairs, just leave the lord on that floor alone. 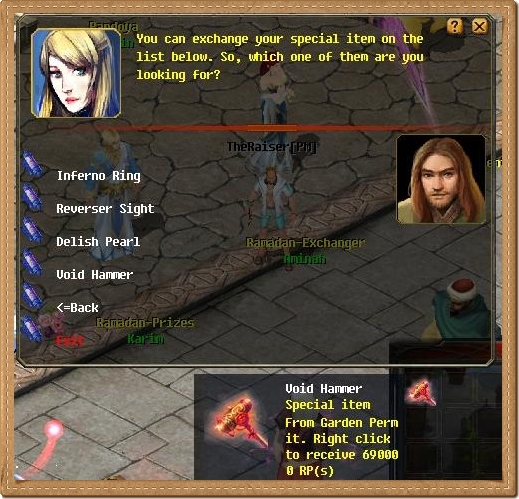 You might have a low chance to get the lords' treasures. 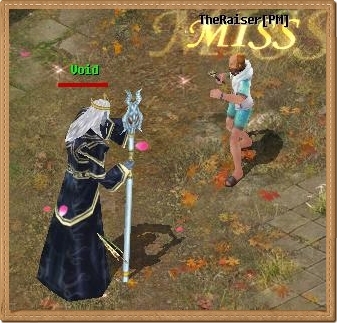 Sell it to the Tiya for RP.